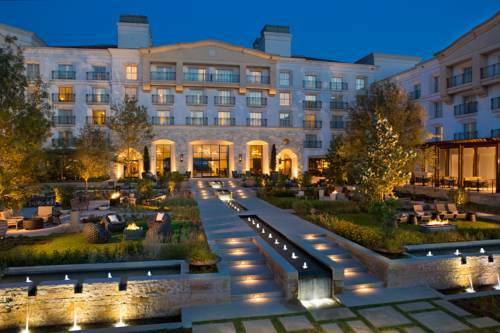 Overlooking the Texas Hill Country La Cantera Resort and Spa is situated on a 550 acre tranquil oasis just minutes from San Antonios finest shopping dining and entertainment. The resort features luxurious accommodations as well as two championship golf courses and nine dining options. In October 2016 Loma de Vida Spa and Wellness opens and this 17000 square foot spa will be a secluded sanctuary immersed in nature and situated atop one of the highest points in San Antonio. The spa will invoke the spirit of the Hill Country and Texas to inspire traditional spa offerings like massages and facials as well as signature experiences indigenous to the area and results orientated services integrating technology and nature to create a true sense of balanced well-being. Less than a mile away with complimentary transportation are the Shops at La Cantera with a variety of luxury shopping and dining options The Rim shopping center and Six Flags Fiesta Texas. Additionally SeaWorld downtown San Antonio the airport and hill country adventures like antiquing and wine tours are 20 minutes away.